It’s good to be home but everyone needs a night out now and then! My aunt’s 40th birthday was last Friday (the 9th). 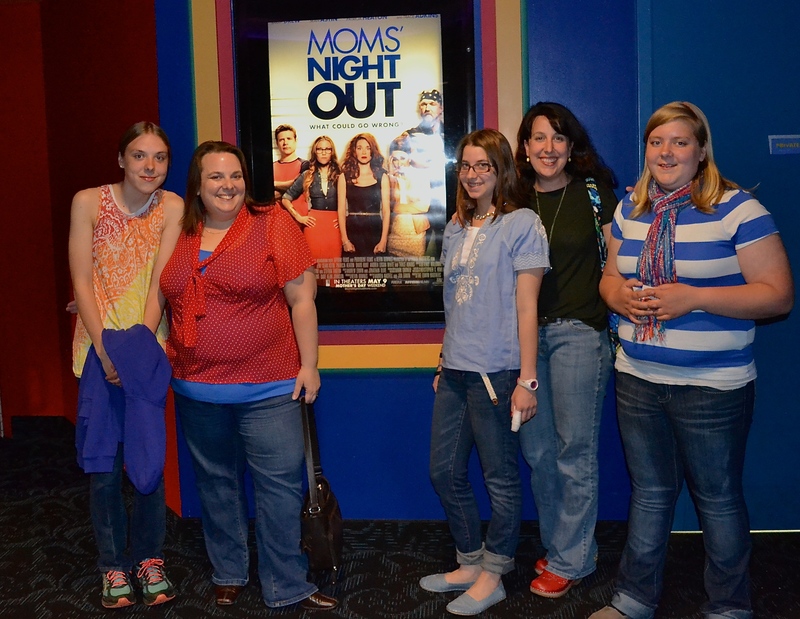 I took my daughter Grace and we drove four hours “back home” (where I grew up) so we could meet Colleen and the others at the movies to watch “Mom’s Night Out”. There were beautiful tulips in bloom outside the theatre so Mom and I had Grace take a picture of us. Mom is Colleen’s big sister, they are 17 years apart. 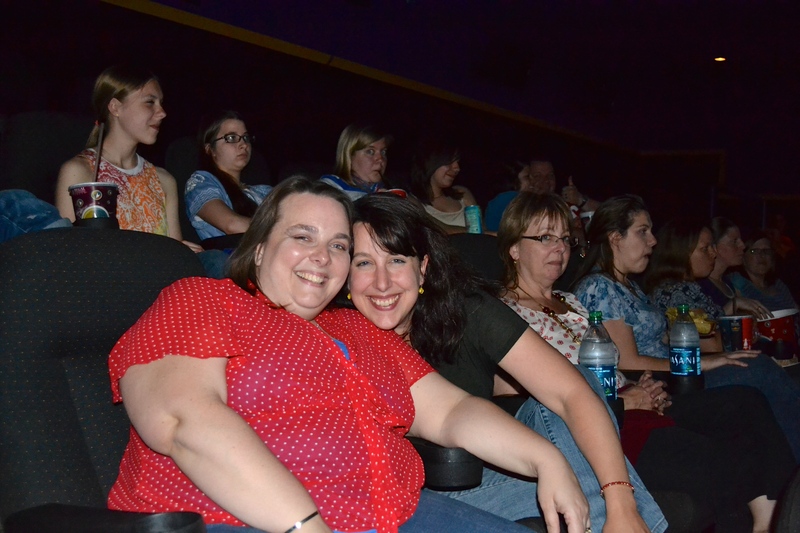 Colleen has four daughters, she brought Molly and Maddie to the movie, her two oldest girls. 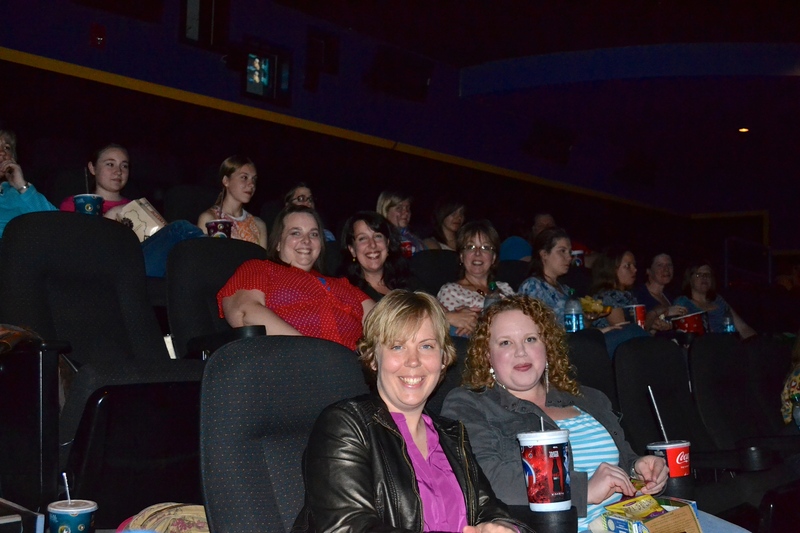 Colleen had nieces, sisters, daughters, and friends join her for her birthday movie. We sat in our big comfy seats, ate candy and popcorn, laughed and cried……the movie was awesome! PS. I love Trace Adkins. 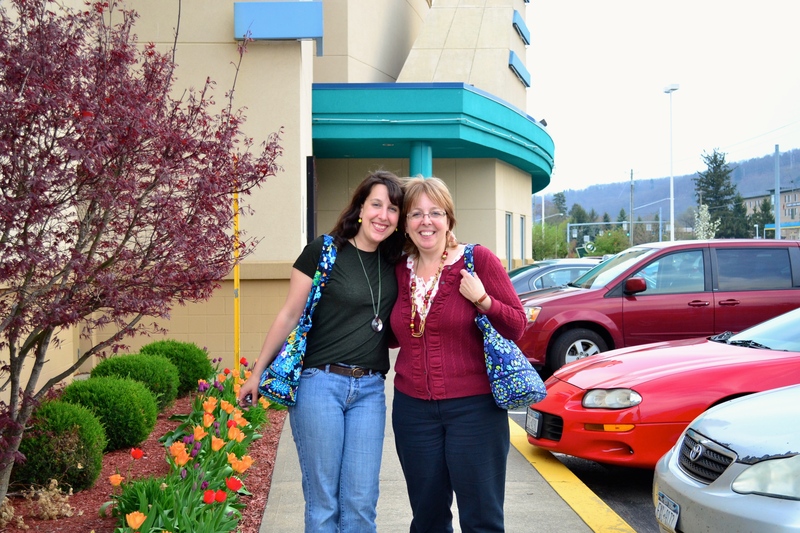 This entry was posted in family and tagged Colleen, movies by Shanda. Bookmark the permalink. It was really great. I had so much fun and the movie was hilarious! I’m supposed to go this week sometime to see it with a friend…I can’t wait. I have heard nothing but good things about it. how FUN that you got to do this! your blog has a new look since i was last here; it’s so fresh and clean! !